It’s practically difficult to pick to choose because Facebook has such huge numbers of metrics to pick from. Here basically, you have to limit your concentration to track particular metrics if you need to be more beneficial as there are tons to make you confused. When tracking Facebook Ad Metrics, Conversions need proper attention as letting you know whether your ads are influencing individuals complete your brand’s intended action or not. You should have its answer as it’s extremely imperative. When you track conversion, you become acquainted with if you’re putting forth is advantageous for that gathering of people or not. This is the only metric that can be effortlessly tied back to ROI and should be considered as one of the top metrics in your marketing report. However, you should be particular while choosing which conversion-style metric to choose for as there are tons present. You should concentrate on those supporting your true objective results. For your conversion metric, you have many options. Ensure you pick a metric pertinent to your campaign demonstrating an immediate effect on revenue or closing a deal. The next metric which is perfect for accompanying conversions is Cost per result i.e. CPR. You simply cannot depend on conversions only; you require a balanced marketing report that shows more than just sales. Cost per result is a key metric that causes you see the amount you’re spending for every conversion. 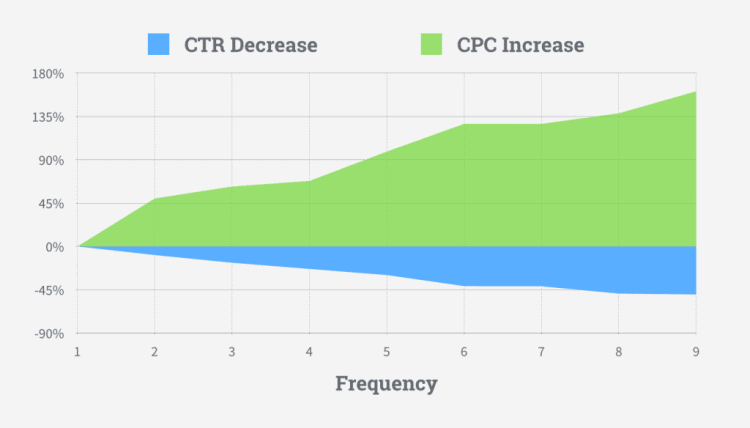 This metric is calculated in a way similar to AdWords determining the cost per conversion. It is calculated as the total amount spent, divided by the number of results. When the total amount spent on a campaign gets divided by the total conversions, the cost per conversion or cost per result comes out. CPR lets you know whether you are spending excessively on acquisition or not. There should be possibly the lowest cost per result on conversions. This metric isn’t of worry for advertisers with low Facebook Ad Spend, one running over $50 in ad spend must track this metric. Frequency is the average number of times each person saw your ad. No one likes to see the same ad dozens of times it gets excessively and prompts an unfriendly impact. If your frequency is greater, people are more likely to become annoyed. And, they’ll end up whether hiding or reporting it. Likewise, when someone reports or hides your ad, you risk getting beaten over quality and audience targeting. Also, it drives your costs higher. As you show people the ad to an ever increasing extent, the more irritated they can become, resulting in a lower relevance score and higher costs. The below has been shown a graph that says as frequency increases, CTR decreases and cost per click increases which is actually not good. It means that frequency is a key metric to track with regards to ensuring you don’t squander your campaign budget. As an answer, advertisers can limit their ad frequency to specific views per person. They can utilize Facebook principles to streamline and automate this process if they would prefer not to spend each day checking their metrics and making sure that their frequency number remains low. To begin with, go to your Facebook Ads Manager and create a rule applying a number as the greater than value. This will make sure that once your frequency passes the specified number; your end action will naturally kick in. Click-through rate (CTR) is taking the aggregate number of clicks on your ad and dividing it by the total impressions. To say, if your campaign had 50 clicks and 1,000 impressions, you’d have a CTR of 5%. Having a high CTR means that your audience targeting is on point and also, your creative and ad copy are compelling enough to drive interests and clicks. When your ad CTR is low, it means that something just isn’t working. 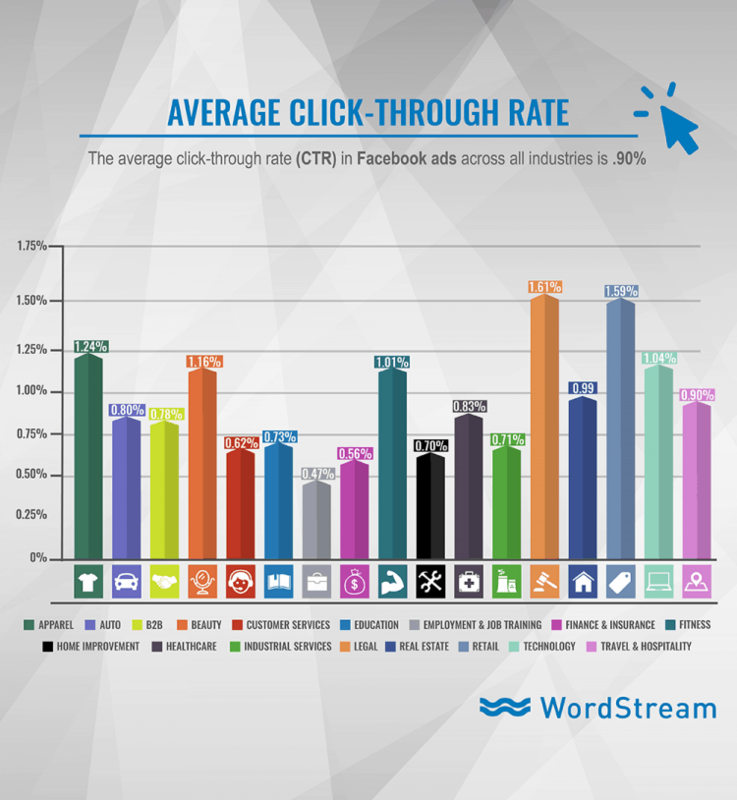 As per WordStream’s 2017 Facebook Ad CTR Study, the average CTR in Facebook Ads across all industries is .90%. It’s pretty low and so, says that anything over 2-3% should make you happy. To better deal with this metric, you can create a new rule that increases your everyday budget by a particular percent when you hit a certain CTR. The rule above basically says that if the CTR on a given advertisement is greater than 2%, increase my daily budget by 25%. CTR is an often frequently misjudged metric regularly ignored but is tremendously useful when finding out how well a specific ad is resonating with its targeted audience.